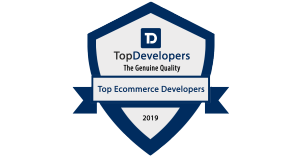 Find the most promising Ecommerce development companies that can bring an incredible business upgrade that will increase your return on investment. SAN FRANCISCO, CALIFORNIA, UNITED STATES, March 13, 2019 /EINPresswire.com/ -- Our research lists the top eCommerce agencies to help businesses in replacing the traditional business practices and to reach a wider audience. 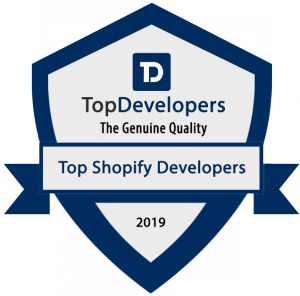 Topdevelopers.co went about researching the services of the renowned firms that are instrumental in bringing the client requirements technically intact. When an entrepreneur decides to take his business to the next stage, the foremost requirement is a well structured and functional website. There are many eCommerce developers online. It is the sole responsibility of the business to make the right choice to get the actual benefit out of the business as anticipated. To make your efforts easier, here is the list of well acclaimed eCommerce development companies with proven excellence in Magento, WooCommerce, and Shopify. We assessed the performance, projects, services and the market presence of the companies and found them to be more strategic and the most able teams in bringing exceptional results.